After having their F-150 Raptor and the Mustang immortalized in Lego bricks, the iconic Ford GT will now be getting the Lego treatment as well as part of the Lego Speed Champions set which will be available starting March 1, 2017. The new Ford GT Lego Speed Champions set celebrates the Blue Oval’s historic win at the 24 Hours of Le Mans. 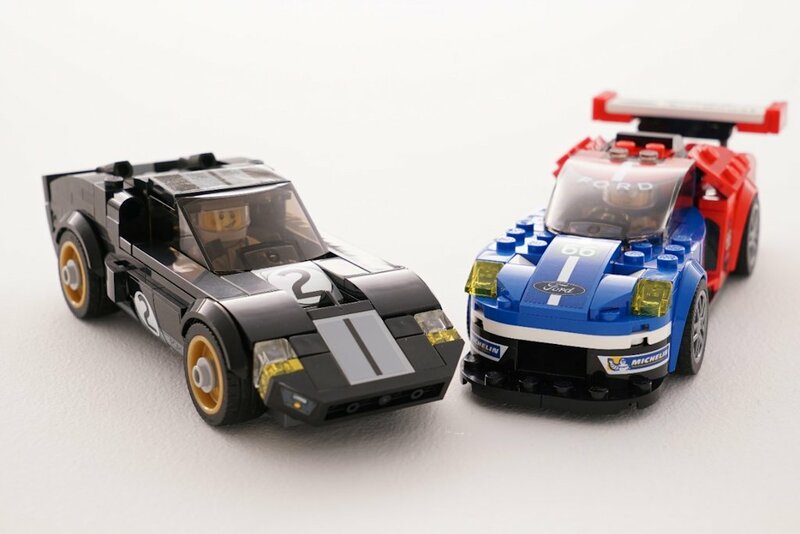 As such, the set includes both the 1966 GT40 and the 2016 GT. It comes packed together with racing driver “minifigs”, a checkered flag, and even a trophy to help kids and the kids-at-heart recreate those history-making victories. It must be remembered that Ford won its class at this year’s 24 Hours of Le Mans, echoing their 1-2-3 sweep at the historic race some 50 years ago. The Lego Group worked closely with Ford’s design and licensing teams on every detail of the 1966 winning car and the new Ford GT race car. The Ford GT Lego Speed Champions set will carry a suggested retail price of € 34.99 (~ P 1,850.00).